Home Food Lovers! 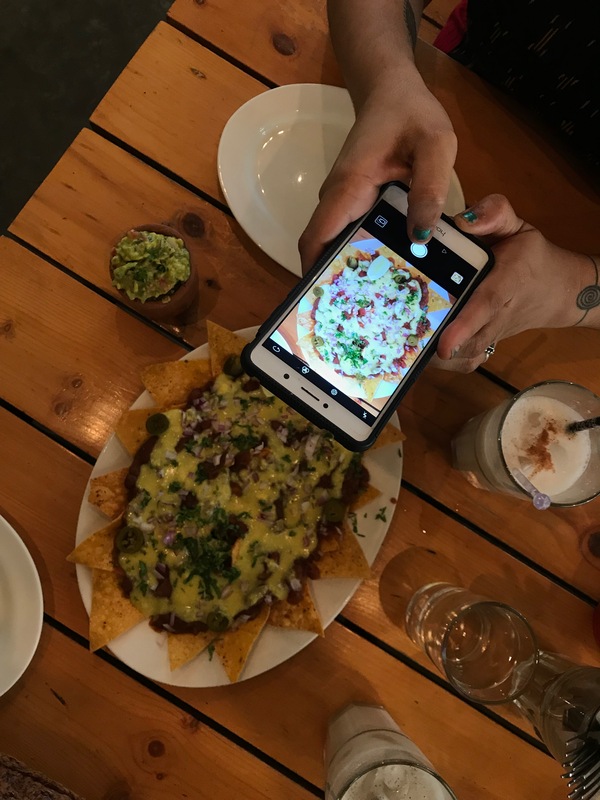 Restaurant Review Vegan cheese nachos and churros in Bangalore! Yes! I found vegan cheese nachos in Bangalore! Where you ask, well then read on! Name of restaurant: Chinita Real Mexican Food. Ok I have been to this place even before the offered vegan cheese and the food has always been great. 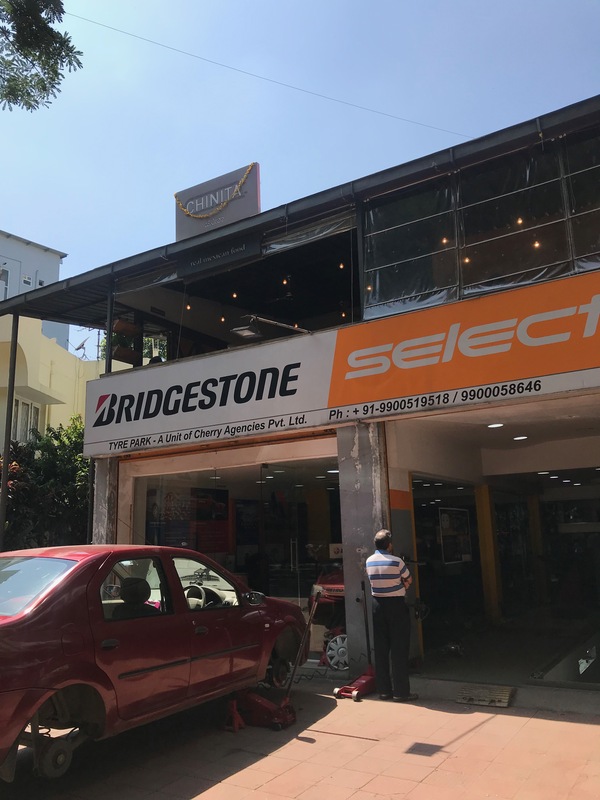 I’d probably say among the top five mexican places I have come across in Bangalore. They understand veganism and even have some items with soy on thier menu like the Soyrizo and Potato tacos. The vegan cheese was a new addition and boy could we be any happier! 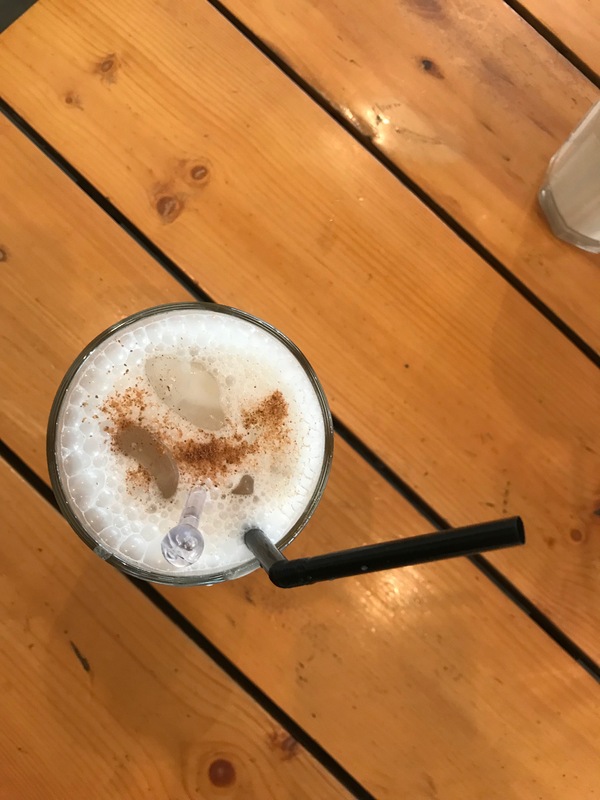 We started with the Almond Horchata, a very cinnamon- ey and almond- ey drink that is traditional to mexican culture. It is not as sweet as one of the ice- tea’s nor pungent like a mojito which was great actually because it went very well with our flavourful meal. Now though the quantity was huge, it was over in seconds among two people and did not leave us feeling sick and greesy because it was cashew cheese. The cheese did taste quite ‘cheesy’ and the texture was very similar to dairy cheese. Guac was served on the side and perfectly blend. They probably serve the best guac in town! The only thing I can think about that I did not enjoy was that the dish was served to us at room temperature and I would have liked the chips a little warm. Also, the way it was layered made the chips in the center very gooey and soggy by the time we got to it but I kind of liked it that way. Overall, my dish had cheese in it so hey no complaints! Ok so the next thing we got was the Tofu Mole. 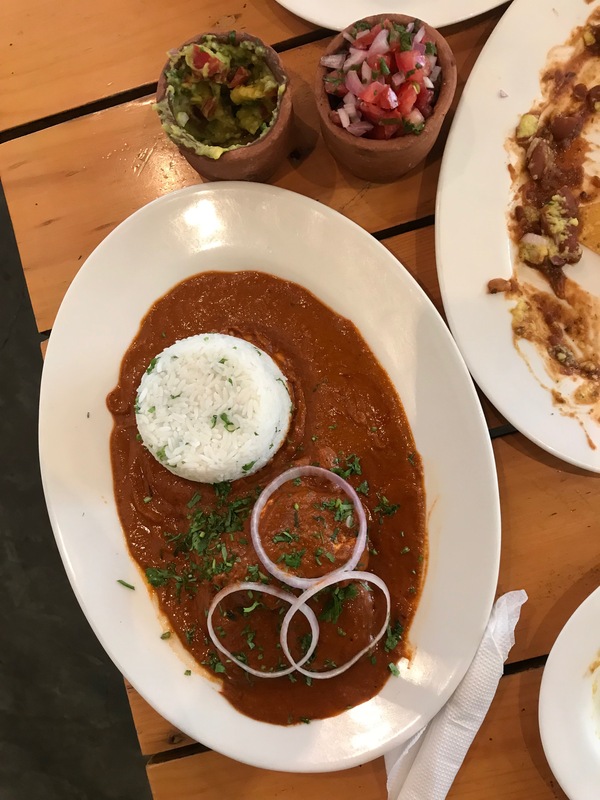 Some very soft,very fresh tofu swimming in this spicy Mexican flavoured sauce with cilantro- lime rice bed on the side. The sauce was very spicy and delicious. Warning, if spicy is not your thing, don’t go for this. If you want something crunchy in your dish, go for the tacos or tostadas instead. Though the dish overall tasted well, in retrospect I would have probably tried their soy tacos just because is has that bit of a crunch. Oh well, gives me a reason to go back ;). There was however a very generous amount of raw tofu in this dish and too much for even two people! And trust me when I say this, I can eat! I was also slightly disappointed this dish did not come with cheese on top 😉 but thats just me being greedy now. Though Bangalore has like SO SO SO many vegan options, very few places actually have vegan desserts on their menu. Guess what, this one did! The have vegan churros! And trust me I have a was the cheese better or the churros war going on in my head since I have stepped out of that place ;). 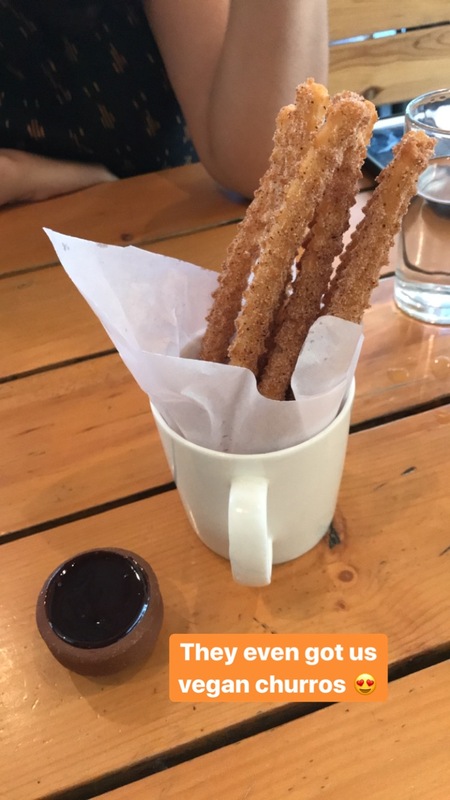 The churros were freshly fried and still warm when served. They came with the most yummy coconut- chocolate sauce! I have not had churros in a very very long time but I don’t even remember them ever being so delicious. We (actually just I) had to get a second serving as a take- away because hey! Vegan desserts! This place is located on the first floor and sort of hard to locate. Just follow the google maps directions and when you get there look for Bridestone car- fixing- place- thinge. Its located right above that. Also warning: No street or valet parking available. You will have to hunt for a spot in one of the lanes surrounding. It cost us 1800/- for two people so I would say thats good for some amazing Mexican food. Definitely would say must try! Ok im off to workout and burn those churros now ;). Previous articleDo healthy and tasty go hand in hand? Next articleTop 5 tips to help you give up on tea/ coffee.